Shylo Eckstrom helps organize efforts to unload trucks that are full of water cases. Photo by Kim Northfield. Hurricane Harvey is the first category 4 hurricane to make landfall in Texas since 1961, displacing countless residents and pets in the affected regions of Texas. In Duluth, resident Mike Letica has been working his hardest to help those impacted by the hurricane. According to Letica’s Facebook page, he started a group to accept donations for those affected by Harvey called ‘Prayers for Texas.’On Aug. 28, he was brainstorming ways to help those in the area. On Aug. 31, a water drive and fundraiser, organized by Letica, was held at Denfeld high school. Letica collected as much as he could from those around the area and set off for Texas on Friday evening. “It was an experience I'll never forget,” Letica said. After much research, Letica found Liberty, Texas, a town that had not received much relief help yet. Letica and other volunteers stayed in a hotel that was 40 miles away from the town as to not take rooms away from locals who may need shelter. Kim Northfield, a resident of Houston, Texas, felt blessed to have the help from Letica and other Duluthians. “The [Duluth volunteers] have not only made an impact on the community and the great state of Texas, but you made a huge impact on me,” Northfield said. UMD Director of Technology Peter Angelos is also volunteering in Texas through the Red Cross. Angelos is spending the rest of the week in Texas and is not available for comment until he returns. First year Hunter Willmore thinks that spreading awareness to people who have the means and funds to donate is an easy way for college students to help. “If you’re someone who has time, talk to local organizations and see if there are any chances for you to do mission work and help with rebuilding efforts,” Willmore said. There are many ways to help. According to the Red Cross, appointments to donate blood are always accepted, but their next blood drive is not until Sept. 24. 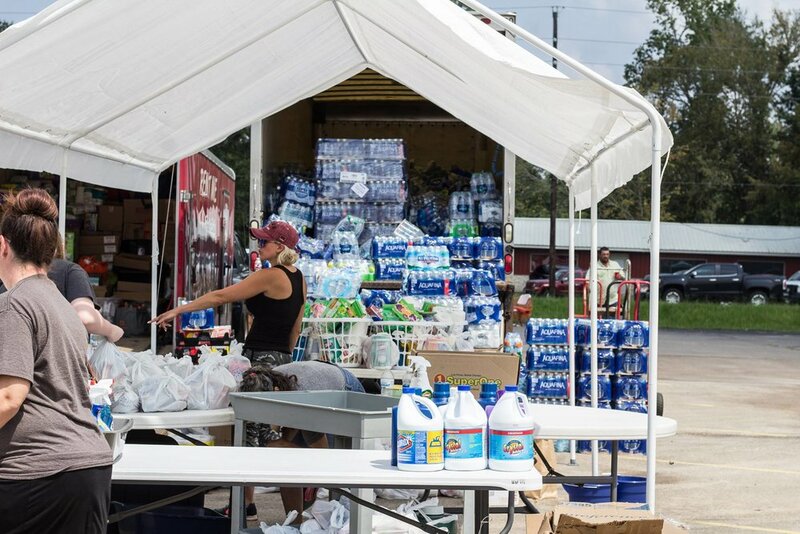 The Center for Disaster Philanthropy has explained how people can help disaster relief. Students can also help animals who were affected by the storm by donating anything on the Houston Humane Society’s wish list.